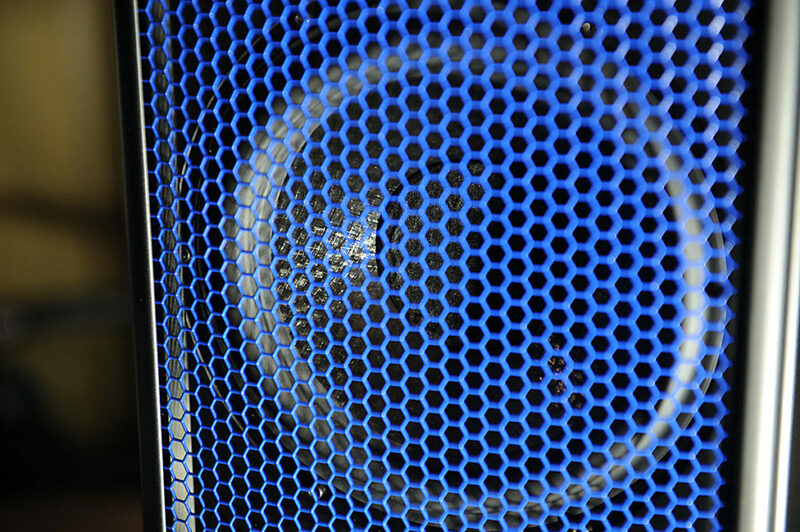 You kind of had to stand there for a second to take it all in… the colors, the fit, and finish, the unique shapes, and then there was the sound. 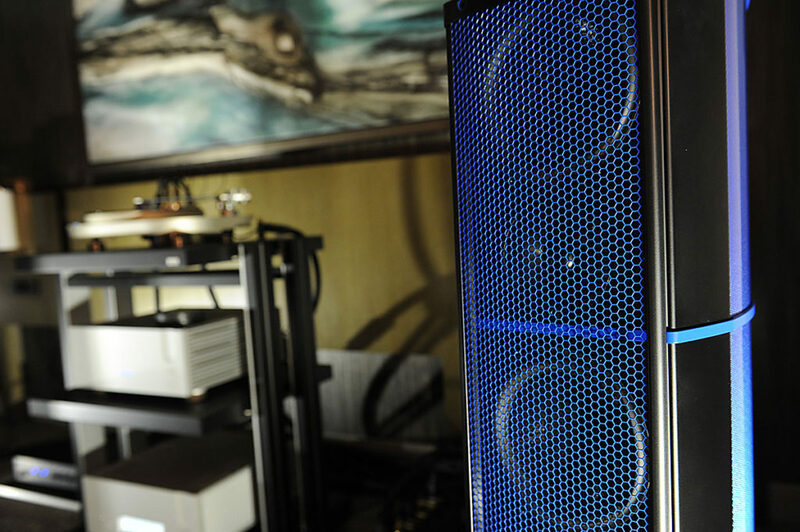 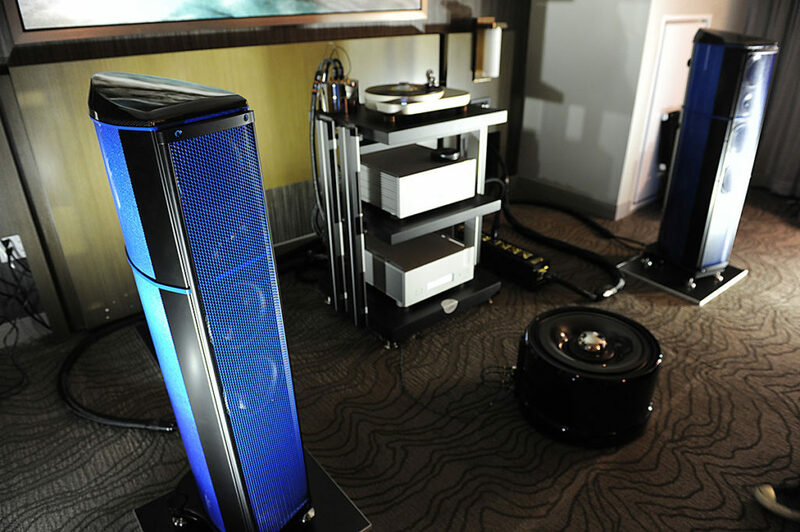 Once your eyes took a moment to become fully saturated with the visuals that the striking blue, and black Wilson Benesch Evolution P1 ‘Ettore’ loudspeakers ($40,000 USD) had hit them with, the Thales TTT Compact II turntable ($14,500 USD) caught them, and then the Ypsilon Phaethon Integrated amp ($25,000 USD), VPS-100 valve phono stage ($26,000 USD), and MC26L Step-Up Transformer ($6,200 USD) in the Finite Elemente Pagode APS rack ($8,970 USD) snatched them away again. 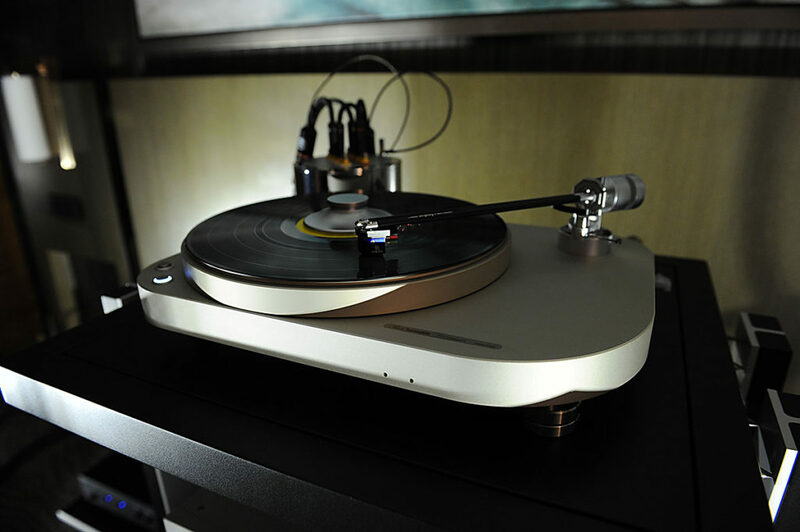 This was an absolutely gorgeous looking, and sounding system that was hard to leave once it had your ears hooked into the deep groove that the Ikeda Kai MC cartridge ($8,500 USD) was pulling from the vinyl of every LP that was spinning. 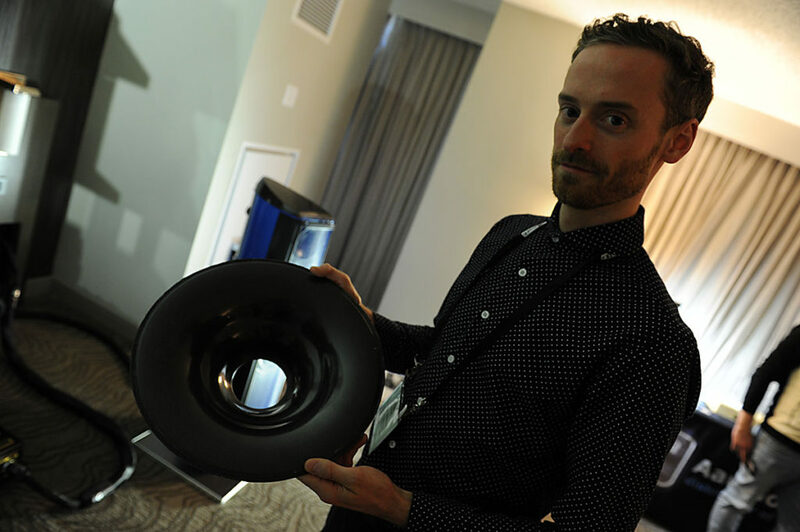 Luke Milnes of Wilson Benesch was showing off the company’s Torus + Amp, a subwoofer ($12,500 USD) unlike any other that I’ve heard or seen, and one that was exceptionally coherent in its linearity, merging seamlessly with the generous lower mids being produced the Ettore. 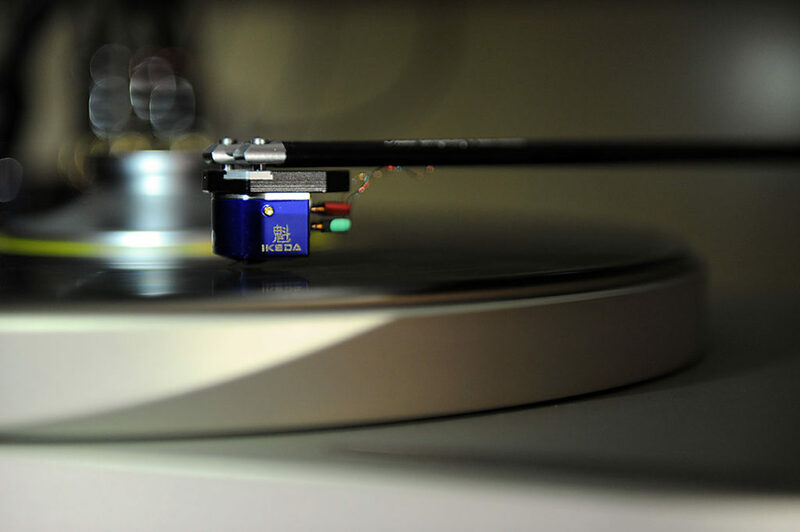 The Ikeda Kai is a favorite cartridge of mine as it is one of the most transparent low output moving coil cartridges I’ve heard regardless of the tonearm or ‘table it’s paired with. 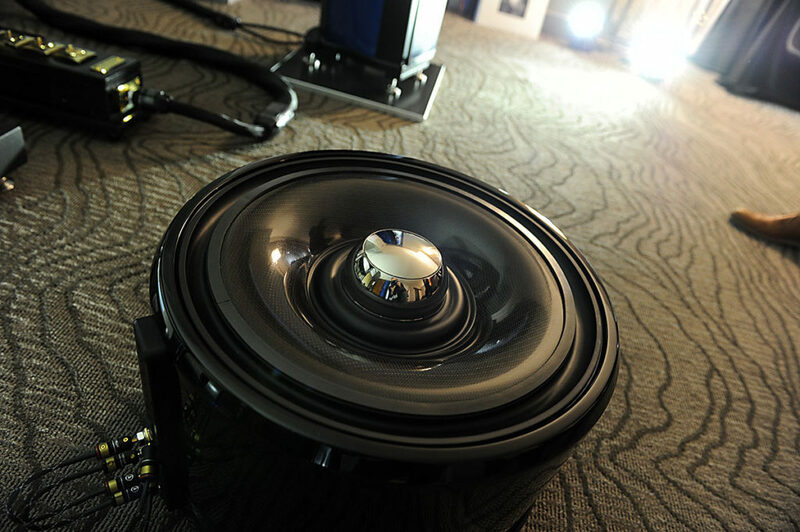 This system was putting out a moving, and emotionally engaging sound that showed off true component synergy.